No space for cot that I had to go up. 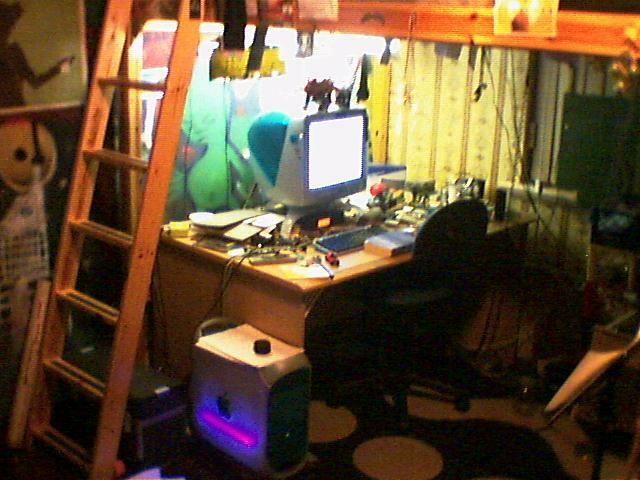 A cool and comfortable setup of computer lover submitted pic to astalavista. A real cozy place to hold the most of space and netlife. Neon embedded computer cabinet for extra glow at night.